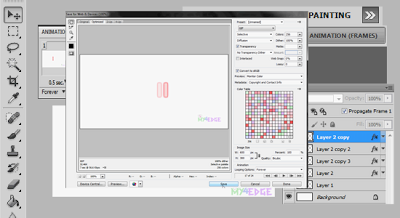 hellow friends, here i'm going to show that, how to create an animated .gif image using photoshop. 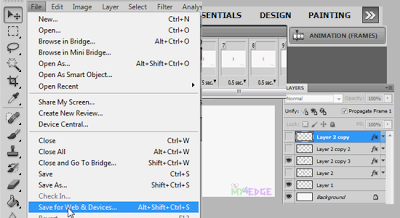 let see how we are going to do that in adobe photoshop, here i'm using CS5. 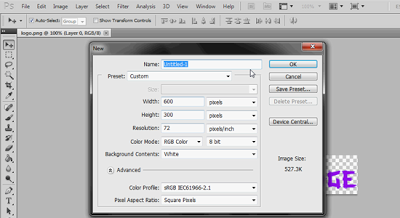 the above image is the sample image.. here we are going to seee about that image only.. that is image is created in using adobe photoshop. 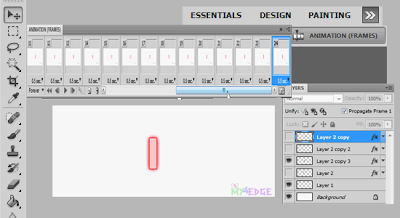 let's see the step by step process. how to do that. First open a new work space. 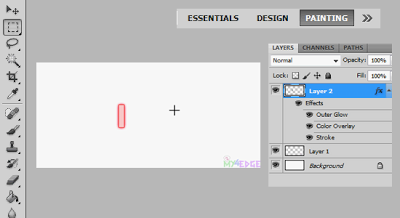 And go to select tool, make a small rectangle shape image in in a place, and right click and choose color and fill with some color. Do like the image image shows. 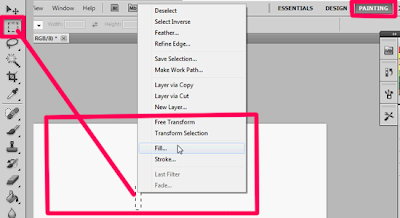 fill with color and Deselect the selected layer. 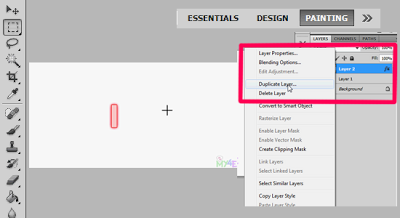 and make make duplicate layer of the rectangle shape image layer, just make 4 or 5 layers. 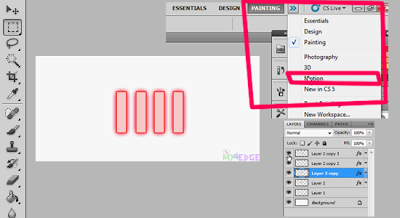 go to the top bar,, seee here ESSENTIALS DESIGN PAINTING ETC, like that, click on that and choose MOTION in that. 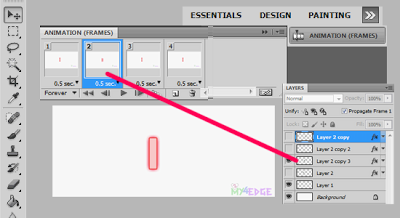 as by the below image shown. 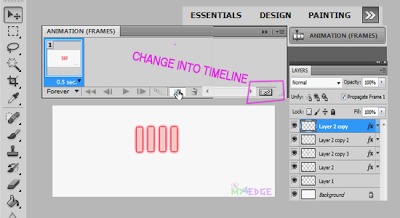 change animation frame into and timeline mode. 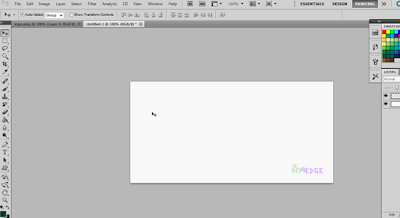 click as shown in the below image. 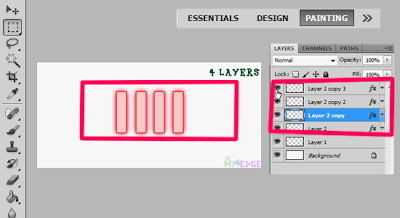 and click create new layers how much layer we want. refer below image. 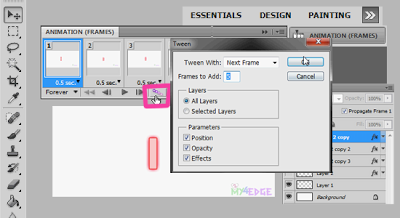 do as like the below images shown.. make the assign layers for the animation. 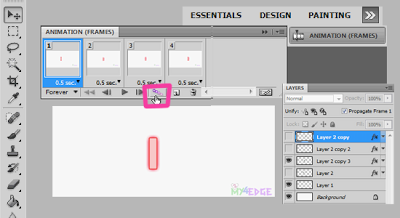 shown two images for sample do that for all images..
similarly do that for all images..
click on the identified place to image animate. then that generate more layers in the animation frame. 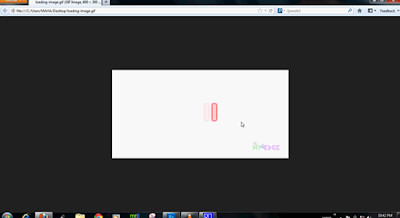 then click play, and the animation frames will move..
that's it the animated image is ready now. 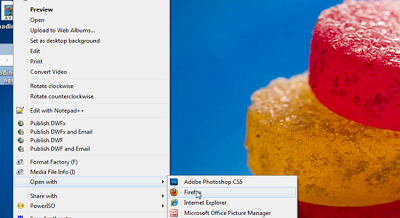 now open it with any of the browser. 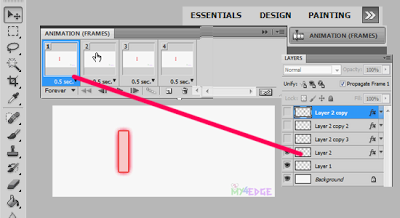 the animate .GIF image is ready..
wonderful blog.This blog is very informative.thanks for this blog.